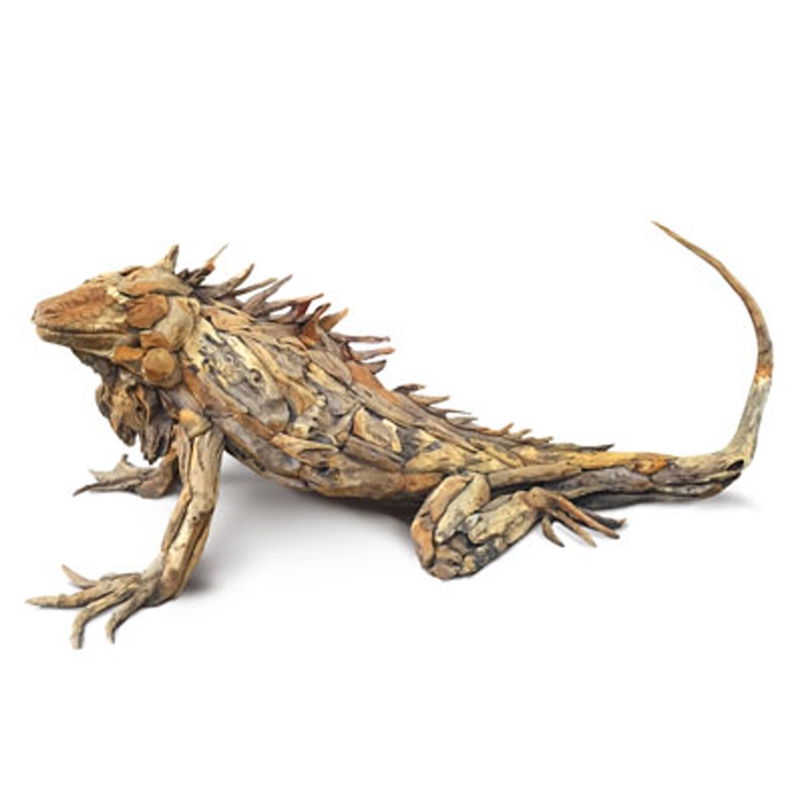 We are very proud to introduce this beautiful Driftwood Giant Iguana Sculpture. This sculpture has a magnificent design that takes a majestic design of an iguana and gives it a unique and stylish touch. The driftwood material makes this piece look especially original and distinctive.